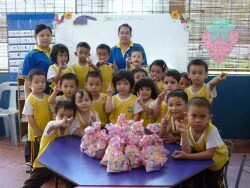 Our kindergarten classes are for children aged from 4 to 6 years old. 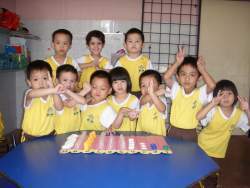 These classes are supervised by a preschool teacher in a interactive classroom and group learning lessons. 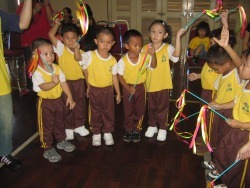 Our curriculum follows the standard approved by the Ministry of Education. 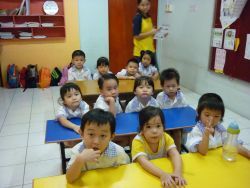 To behave well in class. To return toys and stationary to their original places. School terms and holidays are as currently implemented by the Ministry of Education. Public holidays are rest days. Chinese New Year Holidays will be from Chinese New Year Eve to the fourth day. 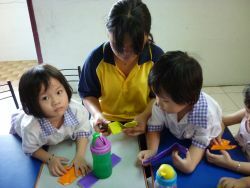 Mid-year break will follow normal school holidays. Annual holidays shall be at the last week of December.